The rest of the day went fast for all of them. The next day felt better for both Blaise and Draco. 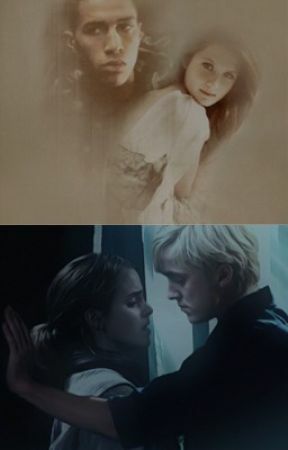 Draco knew that he and Hermione had to smell the Amortentia and he wanted to know what she felt. Blaise would try to talk normally to Ginny without bickering with her. And Luna....we all know what she would do. More nargle-hunting with Neville.
" Good luck with that love potion today" Blaise said when he and Draco was walking to the great hall.
" Thanks mate. Good luck with Weaslette"
Hermione and Ginny sat in the great hall and talked to Seamus and Dean when the other Slytherin boys stepped inside. " I can&apos;t really believe it" Seamus said.
" What?" Hermione wondered and ate some of her bacon. " That you and Dean still haven&apos;t got together? Yeah we&apos;re all confused"
" Very funny, Mione" Seamus said. He looked over to the Slytherin table. " That Malfoy even dares to set his foot at Hogwarts. His parents are death eaters"
" The war changes people, Seamus" Hermione said. " You&apos;re defending him?" Dean said with a stern look.
" What no! I&apos;m just saying....ugh nevermind. I gotta go. See ya" she took her school bag and walked out.
" 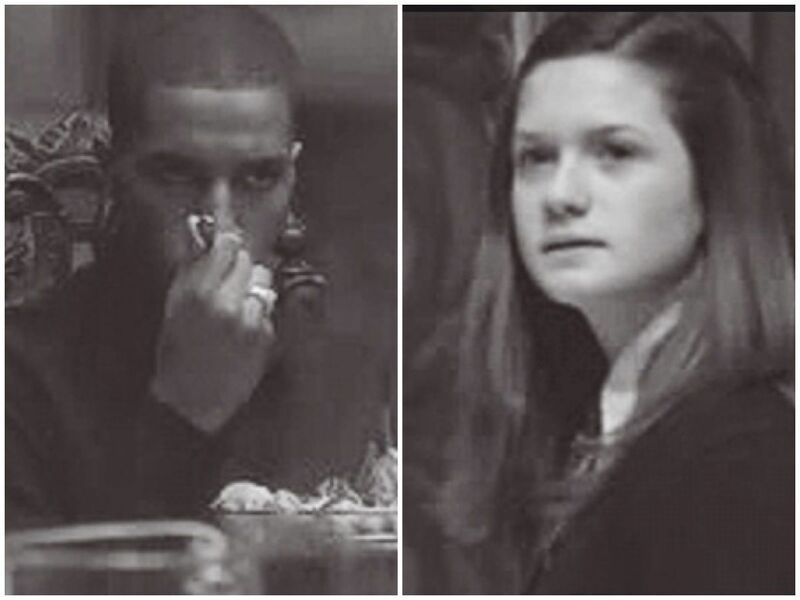 I didn&apos;t mean to offend her or anything" Dean said and looked over at Ginny. " Don&apos;t worry. She&apos;ll be fine. I think she woke up on the wrong side today. When I woke up I saw her just staring up in the celing. Don&apos;t ask me why"
" Speaking of staring..." Seamus said. " That Zabini dude is checking you out I think" Ginny looked over to the other table and saw Blaise look at her, but he looked away as soon as his eyes met hers.
" Yeah he&apos;s been picking on me for a while now" Seamus hit his fist into hos other hand. " Should I...?" " No Seamus! I can take care of myself" She quickly drank her pumpkin juice and left the hall. But she felt something in her neck. She turned around and found Blaise&apos;s eyes on her again, but this time he didn&apos;t look away.
" Well who could&apos;ve known, Red?" Ginny was hastily walking from the Gryffindor Tower to the Transfiguration class that she had to share with Blaise and a few other Slytherins.
" What Green?" She said and slowed down a bit. She had given him a nickname as well now.
" You got into the Gryffindor Quidditch team!" Now she stopped and turned around very slowly.
" I-I did what? I got in?" Blaise nodded with a very small smile on his face. " And I got into the Slytherin team" Her smile faded but it didn&apos;t dissapear.
" Oh, well, congratulations then" She gave him a small smile and turned around to continue her walk.
" I&apos;m not finished, Red"
" Well say it fast, because we&apos;re both getting late to our class"
" You got to be the new Captain"
The next second Ginnh was jumping and squealing. " Oh my god really?! You&apos;re kidding me?" " No actually I&apos;m death serious"
Ginny couldn&apos;t control herself, the next second she jumped and threw her arms around Blaise&apos;s neck like there was no tomorrow.
" I&apos;m so happy!" Now Blaise was confused, very confused. He didn&apos;t really now what his next move would be, but he was about to embrace her when she suddenly pulled away.
" Excuse me, I got to excited. We have class now. Are you comming or not?" Blaise didn&apos;t know why she turned from a happy school girl to a stern teacher all of a sudden, but she was right. They had class and he didn&apos;t want more homework from McGonagoll.